Megalinear timing belts are manufactured with thermoplastic polyurethane, which offers superior wear and abrasion resistance. Our standard cord reinforcement is steel along with other grades of reinforcement designed for use in lifting, positioning and conveying applications. Megalinear belts, offered in imperial, Metric T, Metric AT, RPP, HTD,STD, QST and Flat belt are extruded to tight tooth to tooth, thickness and profile shape tolerances. 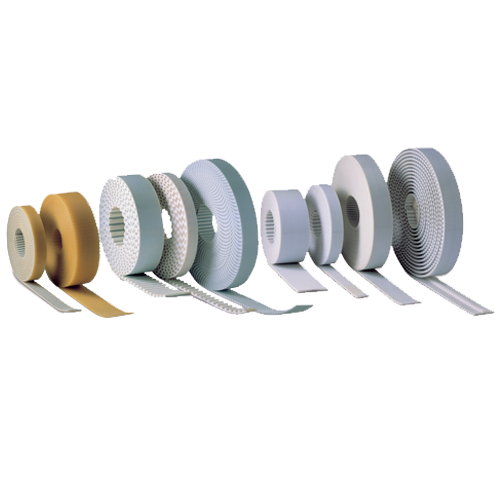 Megalinear belts with the addition of nylon coating on drive side allows for lower noise generation, reduced belt to pulley mesh friction and added wear resistance. 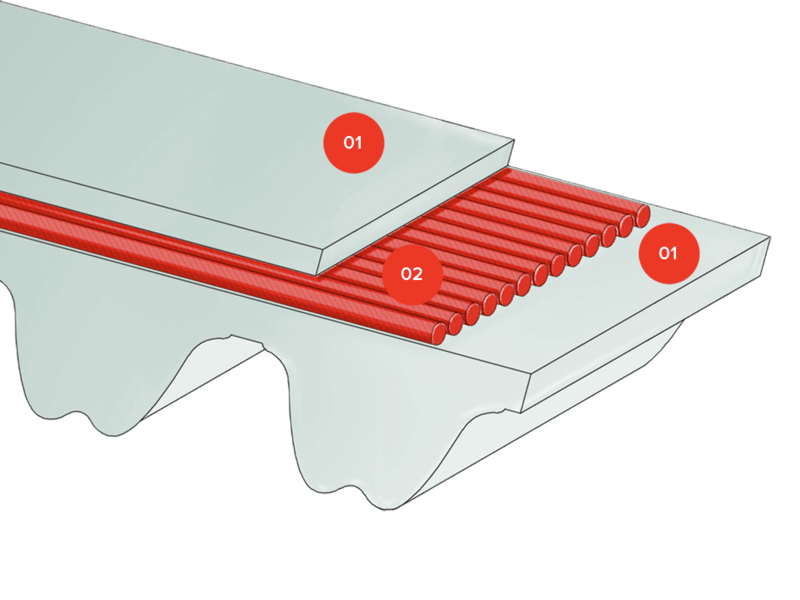 On Megalinear’ s convey side, the addition of nylon allows for low friction, easy slip for product accumulation and product loading onto the belt. Megalinear can be extruded in alternative urethanes, such as low temperature, high temperature and food grade and alternative colors. For lifting and positioning applications alternative cords and tooth designs are available for optimum performance. For Conveying, cleats, covers and modifications allow Megalinear to be customized to meet your exact needs. Megalinear is produced in Europe, America and China for fast delivery to our global customer base. Are you interested in MEGALINEAR ?